Reliable eBay Bulk Product Listing Services: The most crucial factor in pushing the sale from your eBay Store is creating reliable eBay bulk product listing that attracts and engages your buyers. 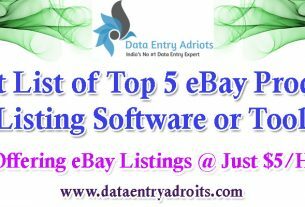 eBay Bulk Product Listing service providers can effectively create your listings, both manually and by creating an import stock file of your products in a CSV spreadsheet as input and then later upload it as bulk product listings details in the required format as part of the eBay data upload services. Your eBay online store plays a major role in attracting, converting and retaining potential customers. To achieve this you need to have a highly complicated due to the presence of your hundreds and thousands of eBay bulk product listings, which also require regular updating. This is the reason why following a set of SEO best practices becomes essential in order to make sure that your eBay Bulk Product Listing always performs at optimum levels. 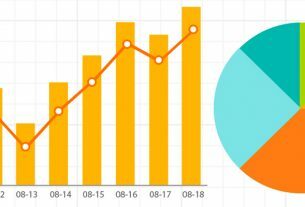 They analyze data, research keywords as well as competitors, and implement the changes required, based on your findings. Failing to do so, guarantees that your listings won’t be successful in getting the first position on the first page of Google search results. While review, research, and optimization must continue on a regular basis to be successful, you must focus on three core areas before you can begin performing SEO to get your listings ranked higher on Google search results. SEO assessment: Begin by performing a comprehensive assessment of your website, so as to identify SEO shortcomings. While it is advisable to perform an assessment for your entire website, you must pay special attention to your product pages. This is where a majority of the flaws are detected and are also imperative to your website’s performance. Tools such as Screaming Frog can be used to crawl through your images, CSS, links, etc., so that you can identify errors, missing tags, duplicate entries and other issues that can have a negative impact on your site’s rankings. You may use long-tail keywords relevant to your products, as they have a higher exact-match search volume as well as a significantly lower difficulty ranking when compared to the competition. Competitor research: Analyze competitors’ website to prepare a list of keywords that are being used by them. Perform research to determine the keywords you wish to compete against. Also, figure out the architecture used by these competing websites. Primarily focus on their product pages to attain better insights about ways to organize the navigation of your website.